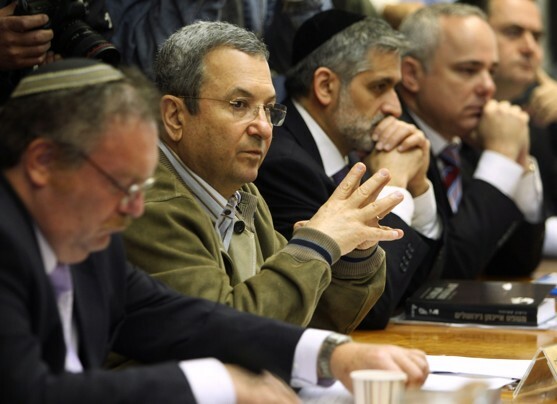 Defense Minister Ehud Barak continues to drop hints and wink when he speaks about mysterious explosions inIran. Defense Minister Ehud Barak continues to drop hints and wink when he speaks about mysterious explosions inIran. In an interview with Ronen Bergman that appeared in The New York Times, he laid out his world view from which it can be understood that an attack onIranis apparently unavoidable. The American Secretary of Defense, Leon Panetta, has expressed the fear thatIsraelwill attackIraneven before June. In short, everything appears to be ready for an Israeli attack. And success, it seems likely, is ensured, because after all, as the Minister for Strategic Affairs, Moshe Yaalon, told the conference, “any facility that is guarded by a human being, can be penetrated by a human being. It is possible to strike at all the facilities inIranmilitarily, and I say that from my experience as chief of staff.” Indeed, how can one argue with the minister’s experience as chief of staff? Just as we were being exposed to the barrage of impassioned and arrogant declarations by senior security officials, a modest news item appeared in the American press that placed a huge question mark over the chances of success of an Israeli military action inIran. Senior American defense officials told The Wall Street Journal that even the largest bomb in the hands of the American military, the one known as the “bunker buster”, is not able to penetrate and destroy those of the Iranian nuclear installations that are buried deep underground. Panetta admitted that the Americans do not possess the means of penetrating facilities like the underground uranium enrichment plant at Fordow, nearQum. This is where the problem lies. Some of the nuclear facilities in Iran, especially those that are critical for the continuation of its nuclear program activities, are located deep below the surface and protected by reinforced concrete fortifications. This makes the task of destroying them almost completely impossible. InIsrael, those involved have ignored the limitations of these bombs that are supposed to annihilate the nuclear sites; but ignoring this will not solve the operational problem that those planning the attack will have to deal with. If Israeli Air Force planes succeed in reaching the targets and in dropping bombs on them with great accuracy, but they are nevertheless not destroyed, this would pose questions about the justification of a military operation. If those critical sites are not annihilated, the Iranian nuclear program will be postponed only for a relatively short period. It is doubtful whether the price we would pay – which would find expression in the form of an Iranian response that could lead to a regional conflict, barrages of missiles and rockets from the north and the south, international pressure on Israel, waves of terror against Jewish targets around the world and various other negative repercussions – would justify the strike. It is to be hoped that someone in the Prime Minister’s Office has drawn Benjamin Netanyahu’s attention to the modest item published by the Wall Street Journal. Esse post foi publicado em Defesa, Irã, Israel e marcado ataque israelense, ataques Israel, conflito iraniano-israelense, Irã, programa nuclear iraniano por Joanisval. Guardar link permanente.